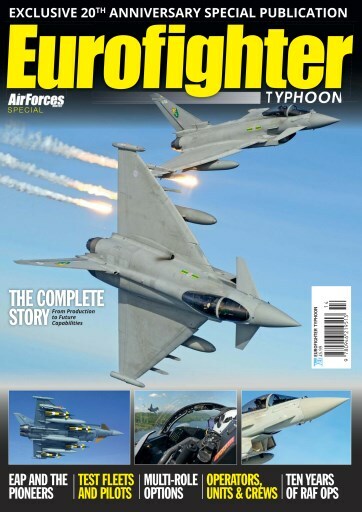 A distant 30-plus years ago, Eurofighter was just a dream. But a technological demonstrator, known as the Experimental Aircraft Programme (EAP), was being designed. 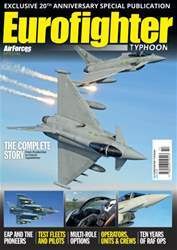 Dogged by political indifference in the early 1990s, the Eurofighter prototype finally made it into the air, and the programme gathered some much needed momentum. It takes 9,500 hours and 248 days to build one Eurofighter from start to finish, a process with four assembly lines in four countries. OC 3 (F) Squadron, Wg Cdr ‘Cab’ Townsend gives an inside view of life as a Typhoon pilot. The next-stage options for the aircraft include exciting ground-breaking developments in swing-role capability, weaponry, defensive systems and radar.